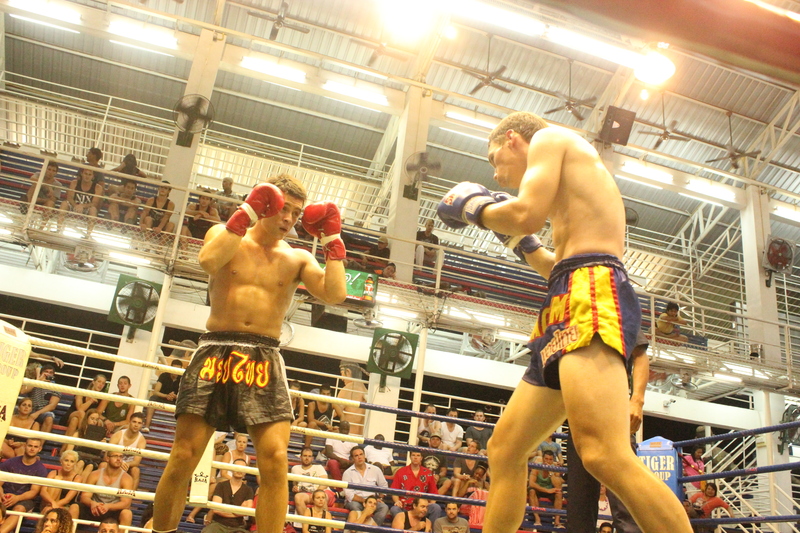 In only his third professional fight, Tiger Muay Thai & MMA Phuket alumni Mike Staana Hafstad showed great poise in his victory over a taller and more experienced opponent. With just over 30 seconds left in the third round of the fight, Hafstad (2-1) left his Russian opponent bruised and battered while cruising to a TKO decision Sunday night. The 20-year-old Norwegian, bouncing back from a loss just one month prior, traded heavy blows with his slightly taller opponent at Bangla Boxing Stadium in Phuket, Thailand. Hafstad kept his distance with a flurry of kicks peppered with sudden punches to his opponent’s head. The fight was made all the more special knowing that he had to hop onto a plane back to his hometown of Oslo just 24-hours later. His opponent, a 26-year-old Russia native called Simon, was a last minute replacement and a veteran of 6 fights who gave up in the third round during one of Hafstad’s flurry of elbows to the head.